The Office of National Statistics, which keeps track of such things, has named the UK cities most visited by international visitors. You'd expect London to be number one and Edinburgh, coming in at number two isn't much of a shock either. But some of the other destinations in the UK Top 20 list, may surprise you. Check out their profiles to find out what makes each of them so popular. Home of the Houses of Parliament, Big Ben, The Tower of London, Westminster Abbey, The British Museum and more British Icons, London is a world center of theatre, art, music, literature and culture. It's also a city of colorful markets, great shopping, green open spaces and a cosmopolitan culture. London is home to 7.5 million people, or 12.5 per cent of the UK's population. Not counting visitors, more than 1.5 million Londoners come from abroad. They speak 300 different languages. 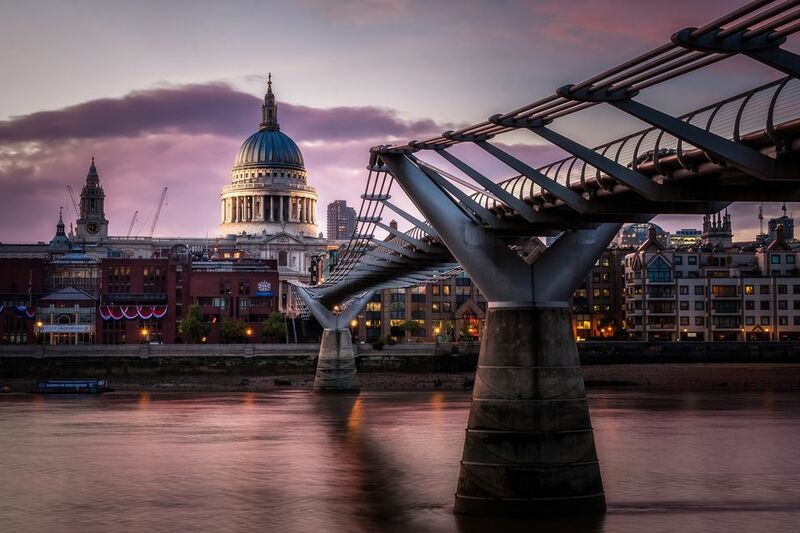 On top of its cosmopolitan locals, London welcomes more than 25 million visitors a year through its five airports, national rail stations and Eurostar terminal, the gateway to the continent. Scotland's capital and the seat of its Parliament, Edinburgh combines the young and modern sensibilities of a great university city and national capital with a historic and dramatic setting. Here you'll find the world's biggest performing arts festival, a 1,000 year old castle and a mountain - Arthur's Seat - right in the middle of town. And, Edinburgh's annual New Year's celebration - Hogmanay - is four-day street party to end all street parties. Edinburgh has about half a million people people, including more than 62,000 university students. At least 13 million people visit every year. During the main festival month of August, the population of Edinburgh swells by more than one million, making it, temporarily, the UK's second largest city. Festival Edinburgh - From the end of June through to early September, Edinburgh reels through one festival after another. Film, books, art, music, television and jazz, the Royal Edinburgh Military Tattoo and the Edinburgh International Festival are just some of the summer festivals. But the big event is the world famous Edinburgh Fringe, a free-for-all of drama, music, comedy and street theater that veers wildly from brilliant to dire and that takes over the whole city for most of August. Come winter and Edinburgh folks are ready to party again, staging the world's biggest New Year's celebration, Hogmanay. The torchlight parades, fire festival events, concerts, fun fairs and winter swims go on for four days. What a hangover. Manchester is often called the first modern city. In the 18th century this Northwestern city, 30 miles from Liverpool, was the cotton making capital of the world and one of the breeding grounds of the industrial revolution. Its entrepreneurs and industrial tycoons endowed it with museums, galleries, theatres and libraries as well as outstanding civic architecture. A devastating IRA bomb in 1996 created the need for city center regeneration resulting in a new, dramatic 21st century cityscape. Today, some of the most exciting architecture in Britain can be found in Manchester and the nearby Salford Quays area. Among the highlights are Bridgewater Hall, home of Manchester's Hallé Orchestra; Urbis, a glass curtain-walled exhibition center, and the Imperial War Museum, designed by Daniel Libeskind. Manchester has long been a hot bed of the indie and pop music scenes. Among the bands and artists who got their start, Manchester can claim Elkie Brooks, Take That, Freddie and the Dreamers, Hermans Hermits, The Hollies, Oasis, Simply Red, The Smiths, The Stone Roses, Morrissey and dozens more. Today a large student population keeps Manchester's club scene as lively as ever. And, as one of the gateways to England's Lake District, Manchester makes a good anchor for a two base vacation, combining outdoor activities with urban nightlife. A combination of entrepreneurial daring and engineering know-how made Birmingham the manufacturing engine of Britain through the 19th century and most of the 20th. James Watt first commercially manufactured his steam engine here; the transatlantic cable and the Orient Express were Birmingham built, and this was the heartland of the British motor industry. Birmingham also has several tasty claims to fame. George Cadbury made his choccies here and his his Bourneville Estate was an early planned community. In more recent times, Birmingham has become the heartland of that Anglo-Punjabi speciality, Balti cuisine. With a population of more than a million, Birmingham is the UK's second largest city.It's a vibrant, multi-ethnic destination with a lively arts and music scene and some of England's best shopping. Its Selfridges - the company's first store outside of London, is an ultra-modern building that looks like it just landed from outer space. Heavy Metal is a Birmingham sound. Both Judas Priest and Black Sabbath were local bands. And Ozzie Osborne is a native son. Other styles of music thrive in Birmingham too. The city kick started the careers of Duran Duran, ELO and UB40. With it's great shopping and the huge NEC conference center as draws, Birmingham has loads of visitors. Sadly it doesn't have nearly enough hotels to meet the demand. So if you are planning on heading there for a special event, plan on booking early. Scotland's largest city and the third largest city in the UK, Glasgow's had long taken a back seat to Edinburgh with tourists and visitors. Its reputation as a rough, crime-ridden, dirty and hard drinking city put people off. But, since the mid 1980s, Glaswegians have worked hard to turn that image around. In 1995, Glasgow was European Capital of Culture. The award wasn't for the heritage culture that enlivens Edinburgh but for an entirely more contemporary vibe. And it keeps getting better. In 2008, Lonely Planet named Glasgow one of the top 10 cities for tourists. In the same year, the Mercer report, a quality of life survey, put Glasgow among the top 50 safest cities of the world. Nervous tourists note: that was more than 30 places higher than London. Today, Billy Connolly's home town is a hip destination for contemporary art, jazz, clubs, comedy, design and fashion (of both the chic and the gutsy street kind). It's also the gateway to the Western Highlands. Loch Lomond and the Trossachs National Park is about half an hour away. When visitors think of Liverpool, the Beatles come immediately to mind. And, of course, there's plenty to do that's Beatles related - not least of which is is visit to the famous Cavern Club. In 2008, the mantle of European Capital of Culture landed on Liverpool, revitalizing this city in England's northwest, as the award often does. Liverpool's Albert Docks area became a UNESCO World Heritage Site for its role in the maritime history of Britain's. Visitors to the area can explore Liverpool's part in the history of the slave trade, commemorated in the world's only International Slavery Museum, in emigration to the New World and in the spread of trade and culture across the British Empire. The spotlight on the dock's history has also brought trendy clubs, hotels, shopping, dining and a Liverpool branch of the famous Tate Gallery to the immediate surrounding area. Over the years, Liverpool has had its ups and downs, so there are good bits and not so good bits. But the recent revival of interest in this historic city means there are quite a few new and trendy hotels. Bristol, on the borders of Somerset and Gloucestershire, is a small, attractive city with a history of creativity and innovation. It makes a great base for touring with Stratford-upon-Avon, Warwick Castle, Bath, Stonehenge, Cheddar Gorge and Longleat all within easy reach. Once one of England's most important ports, like Liverpool, it was a center for the triangular trade in the 17th and 18th centuries, shipping manufactured goods to Africa in exchange for slaves who were then transported to the Americas. Abolitionist Thomas Clarkson lived undercover at The Seven Stars Pub on Thomas Lane in the 18th century. He gathered the information about the slave trade that his friend William Wilberforce used to support the Act for the Abolition of Slavery. You can still raise a pint of real ale in the pub, open every day since 1760 and with a history that goes back to the 1600s. From the pioneering Victorian engineer Isambard Kingdom Brunel, to the leaders of today's cutting edge animations, Bristol has been a hot bed of talented innovators. Brunel, who designed Britain's first long distance railway, the Great Western between London and Bristol, also designed the first ocean-going, propeller-driven transatlantic steamship, the SS Great Britain and the Clifton Suspension Bridge (completed after Brunel's death). The bridge, over the Avon Gorge, is the symbol of Bristol. The Bristol Old Vic, an offshoot of London's Old Vic Theatre, and its associated drama school, has populated international stages and screens with graduates. Cary Grant was born in Bristol; Patrick Stewart, Jeremy Irons, Greta Scacchi, Miranda Richardson, Helen Baxendale, Daniel Day-Lewis and Gene Wilder all learned their craft there. Wallace & Gromit and Shaun the Sheep are also Bristol natives, having been created at the city's Aardman Animation. And the mysterious graffitti artist, Banksy, another Bristol native, has left his mark there. Oxford University is England's oldest university, dating back to the 11th century. It's the reason that many people make their way to this small city, 60 miles northwest of London, on the edge of the Cotswolds. The city has England's oldest public museum, The Ashmolean, recently refurbished with its exhibition space doubled. Visitors can also enjoy shopping in a lively covered market, find an almost hidden pub that was popular when Elizabeth Taylor and Richard Burton were still hiding their affair from their respective spouses, explore a haunted castle and stay in a unique hotel that was once a jail. And then, of course, there are the colleges. Visitors are welcome to stroll the fascinating, historic grounds and chapels of most - but not all - of the colleges. Others are only open during fixed times of day or as part of official guided tours. Official Guided Walking Tours, run by the Oxford Tourist Information Centre, take in the colleges, other Oxford landmarks and Oxford movie locations - including some used in the Harry Potter films. Oxford makes a great London Day Trip, with or without a car. It's also a useful base for exploring the Cotswolds; visiting Blenheim Palace in Woodstock, a ten minute bus trip away, or shopping till you drop at Bicester Village, one of the UK's best designer discount centers. Malmaison Oxford Castle- Going to jail has never been so good. And don't just take my word for it. Cambridge, like Oxford its traditional rival, grew out of an association of scholars who settled in one place and founded the colleges. According to tradition, Cambridge - Britain's second oldest University - was founded in 1209 when a group of scholars fled Oxford after a disagreement with local townspeople. Smaller and less urban than Oxford, Cambridge is, nevertheless, a lively place full of fascinating museums and galleries, theatres, an improving restaurant scene and pubs. The colleges themselves, which together have produced more Nobel Prize winners than any university in the world, are masterpieces of Medieval, Tudor and Jacobean architecture. Among the standouts open to visitors, Kings College Chapel, with its soaring thistle vaulted ceiling, is a must. From April to September, Cambridge can be packed with tourists who arrive on buses, stay a few hours and skedaddle. But train services from London are frequent and journey times relatively short so it's a shame not to linger a bit longer to explore some of the lovely gardens along the Backs (where Cambridge colleges back up onto the River Cam). Because of the crowds, many of the colleges now charge an entry fee to visit their grounds and limit opening hours. Punts are the traditional, flat boats propelled along the Cam and Granchester rivers with poles. The punter stands and pushes the pole into the mud. It's not as easy as it looks and more than one beginner has either lost a pole or been left clinging to one as the punt floats on. Nowadays, visitors can hire a chauffeured punt (the chauffeur will probably be a student) for a guided cruise along the Backs. It's lazy but can be fun. One of Cambridge's shortcomings is a dearth of really nice hotels near the center. One of the most interesting, however, is The Moller Centre, part of Churchill College. It's a conference center at heart but anyone can stay in business class luxury at budget prices in this architecturally unusual place. Cardiff, the capital of Wales and its largest city, has experienced a virtual renaissance. In a little over a decade its visitor numbers have increased by more than 50 percent. When the Millenniium Stadium, home of the Welsh national rugby union team and the Welsh national football team, opened in 1999, the city welcomed about 9 million foreign visitors. In 2009, that figure had risen to more than 14.6 million foreign visitors, with French and Irish rugby fans leading the way. The rebirth of Cardiff includes redevelopment of the waterfront along Cardiff Bay. The Senedd, home of the Welsh National Assembly and designed by British architect Richard Rogers, opened there in 2006. Nearby, the Wales Millennium Centre, opened in 2004, is a performance venue for theatre, musicals, opera, ballet, contemporary dance, hip hop, comedy, art and art workshops. It has two theaters and seven resident companies including the Welsh National Opera. Free performances take place in the center's foyer every day and visitors to the bars and restaurants can enjoy views of Cardiff Bay. The building is a striking landmark on its own, clad in Welsh slate, bronze colored steel, wood and glass, it is a reflection of the Welsh landscape. The most famous features of the building, designed by Jonathan Adam, are the lines of poetry, made up of windows, that cross its facade. Written for the center by Welsh writer Gwyneth Lewis, the Welsh and English words are not translations of each other but are, in fact, two different short poems that complement each other. The words of the Welsh poem, "Creu Gwir Fel Gwydr O Ffwrnais Awen" (Creating truth like glass from the furnace of inspiration), are arranged beside the words of the English poem, "In these stones, horizons sing." At night, light from inside the center shines through the windows. Not everything about Cardiff is brand new. Cardiff Castle began its life as a Roman garrison, about 2000 years ago. It has been a Norman castle keep and home to a variety of noble families. In the 19th centuries, the Marquess of Bute had the living quarters transformed into a Victorian fantasy castle with fabulous and opulent interiors. Today it belongs to the city of Cardiff and the castle, along with its surrounding parkland, is the scene of festivals and events throughout the year. Cardiff's post millennial revival and its position as the seat of the newly devolved Welsh government means the hotel and accommodation selection is very good. Brighton is hip, colorful and - unusually for a seaside resort - urban. "London's beach", 60 miles from the capital, is a year-round day trip or short break destination with lots more to offer than its seafront. Shopping, dining, a hoot of a fantasy palace, a brilliant aquarium, great nightlife and theater, block after block of Regency houses - not to mention the most scenic pier in Britain - combine with a tolerant and breezy ambience to make Brighton a very cool place to visit and an even cooler place to stay awhile. If you like cities (warts and all) and you share Brighton's tolerant, open attitude, you will love it. Millions of people do. At least 8 million people visit Brighton annually - about 6.5 million for day trips. Brighton Pier alone gets 4.5 million visitors a year. The city regularly ranks among the top 20 for overseas visitors and is among Britain's top 10 visitor destinations overall. It is also one of Britain's most popular gay destinations with a large resident gay population. It may be London's beach, but don't expect to pop into the sea. The water is usually pretty cold and the shingle beach is not to everyone's taste. But all kinds of watersports fans, surfers, paddle and wind surfers do love it. And strolling along the seaside or lazing on the beach is just part of Brighton's appeal. Come for amazing shopping in the Lanes and the North Laine, goggle at the Royal Pavilion, eat lots of great fish and chips and enjoy the festival and club scene. It's a quick day trip by train from London and one you don't want to miss. Newcastle-upon-Tyne began its history as a major Roman fort defending the eastern end of Hadrian's Wall. The evidence is still there at the Arbeia Roman Fort & Museum a reconstruction of the fort that guarded the mouth of the Tyne, with a museum full of archeological finds from the site. In the early Middle Ages, after the departure of the Romans, the Venerable Bede, an Anglo Saxon monk, lived and wrote his histories of early Britain at Jarrow, just down river from Newcastle on the south bank of the Tyne. Bedes World, in Jarrow is a new museum and World Heritage Site candidate near the ruins of Bede's Anglo Saxon monastery. Newcastle is a good base for exploring of the northeast of England, but don't be surprised if the locals could care less about all that impressive history. They have their eyes firmly fixed on today and tomorrow. Newcastle nightlife is legendary, spawning bands, performance artists and good times in quantity. Back in the 1960s, Jimi Hendrix lived and busked in Newcastle. He was discovered and managed by Chas Chandler, a musician with Newcastle band, The Animals. Dire Straits was a Newcastle band and Sting is a Geordie boy. ("Geordies" are natives of Newcastle). One of England's big university cities, students keep the Newcastle music scene alive and kicking. Since the Millennium, the Newcastle/Gateshead Quays have been transformed into a futuristic and arty landscape. The Newcastle/Gateshead Millennium Bridge is a unique pedestrian "drawbridge". Instead of splitting and opening to allow tall boat traffic through, the bottom, pedestrian deck of the bridge tips up to meet the support arch, like an eyelid, opening and closing. The Baltic Centre for Contemporary Art on the quayside, is a huge contemporary art space - the biggest exhibition space of its kind in the world. Before its transformation into a cutting edge visual arts exhibition center, it was an enormous and abandoned flour and animal feed mill. Not far away, The Sage Gateshead, is an ultra modern music performance and learning center. Rock, pop, classical, acoustic, indie, couontry, folk, electronic, dance and world music are all welcome in Sage's gleaming bubbles of stainless steel and glass. The Northern Sinfonia has its home at the Sage. Geordies The native dialect of Newcastle, Geordie, is distinctive and one of the oldest in England. If you've ever seen actor Jimmy Nail or Girls Aloud singer Cheryl Cole, you've heard this inimitable accent. People sometimes dub Leeds The Knightsbridge of the North because this city, built on a tradition of wool, textile and clothing manufacture, is one of the UK's major retail and fashion hubs. Glamorous shops are housed in some of the most splendid Victorian arcades in Europe. Famous Harvey Nichols established its first store outside of London here. And one of Britain's most famous businesses, Marks & Spencer, began its life as a humble market stall in Leeds Kirkgate Market. Leeds is a thoroughly wired up place. Leeds IT companies host more than a third of all UK Internet traffic and there are more ISDN lines per head of population than any other major city in the world. A new Internet Quarter, full of call centers and server farms, is in the works. Currently the UK's third largest city, Leeds is also the fastest growing city in Britain. Its population of three quarters of a million includes more than 100,000 university and college students who support a lively music scene. There are about 1,500 bands currently active in Leeds. Among the city's recent success stories, the Kaiser Chiefs and Corinne Bailey Rae hail from this Yorkshire city. Leeds is well placed for some nightlife and retail therapy as part of a tour of the beautiful Yorkshire countryside. It's also less than half an hour, by train or car, from the Medieval, walled city of York. 42 The Calls is one of Leeds most interesting little hotels - with a great breakfast. The small northern English city of York has been an important population center for at least 2,000 years. As a Roman, Viking and Medieval Anglo Saxon city, its relics, monuments and architectural treasures are woven into the fabric of everyday modern life. It's a lovely city for walking, with something interesting - and hundreds of half-timbered buildings - to look at and explore at every turn. Markets - in the same squares and stalls they have occupied for hundreds of years - sell everything from fruit and vegetables to snazzy hats, designer kitchen utensils and music DVDs. Boutique shops that line York's winding lanes provide plenty of prey for the avid fashion hunter. Some of the best shopping streets are mentioned in the Domesday Book and have been commercial centers for more than 900 years. York Minster, one of Europe's greatest gothic cathedrals, dominates the city, visible from any vantage point within the walls. It has a stained glass window bigger than a tennis court and a crypt where you can explore the Minster's Roman foundations. On it's own, it might be hard to understand why Inverness, on the River Ness near the head of the Moray Firth, is among Britain's top 20 cities for visitors. But Inverness is more than a quiet provincial city. It is the unofficial capital of the Highlands and the gateway to all that - for visitors at any rate - is Scottish about Scotland. Just outside of Inverness, the Culloden battlefield bears witness to one of the great lost causes in Scottish history. In 1746, the clans who supported a restoration of the Stuarts to the throne rallied behind Prince Charles Edward Stuart - known as Bonnie Prince Charlie - in what was known as the Jacobite cause. The climax, at Culloden was an hour-long battle in which at least 1,000 died. It led to the brutal "pacification" of the Highlands, the banning of clan chiefs and tartans and the attempted destruction of Highland culture. The story is explained at an outstanding visitors center, run by the National Trust of Scotland, on the iconic Culloden Battlefield site. Read a description of eve of battle and the battle itself, in Sir Walter Scott's novel, "Waverley". A few miles southwest of Inverness, Loch Ness marks the last great body of water at northern end of the Great Glen, the deep channel of interconnected lochs and waterways that cuts across southwest to northeast across Scotland, from the North Atlantic to the North Sea. Coach and Caledonian Canal tours can be arranged to visit the loch to have a look out the legendary Loch Ness monster. Even if you don't spot Nessie, Loch Ness is a beautiful place to visit and home to Rock Ness - a rock festival with its own sea monster. Urquhart Castle is known to be a particularly good place for Nessie watching. East of Inverness, the area surrounding the River Spey, is prime territory for Scotch whisky tourism. Speyside distilleries make some of the most famous and most treasured whiskies in the world. Many are open to the public. The area is also popular for salmon fishing and shooting holidays. Inverness also within easy striking distance of the Cairngorms and Cairngorm National Park - a popular skiing destination and home to Balmoral, the Queen's Scottish vacation home. And, if you are heading for Orkney, flying from Inverness is the fastest way to get there. But one word of advice. Inverness on weekend nights can be an incredibly noisy place. If you are planning an early start for a cruise or a tour, find yourself a quiet hotel, away from the center. From its 2,000 year old Roman Baths to its Georgian terraces and Pump Room, the entire city of Bath is a UNESCO World Heritage site. Jane Austen enjoyed the health giving waters of Bath and its accompanying social scene, as did many of her characters. Besides offering visitors a feast of historic architecture, this small pleasant city has more than enough diversions for demanding modern weekenders - including great restaurants, top shopping, quirky museums, a lively cultural scene and, of course, a post millennial, multi-million pound, thermal spa. Bath is a bit too far from London for a day trip that does justice to its many pleasures, but it makes a fine overnight getaway with lots of charming places to stay and dine. Among the sights, Bath Abbey, occupying a site that has been a place of Christian worship for 1,200 years; The Jane Austen Center; The Roman Baths and Pump Room, where 18th and 19th century high society socialized and where you can still taste the waters of the ancient spring - or stop for tea. Bath is also a showcase of England's finest 18th century architecture, with stunning terraces of pristine, white houses that have formed the backdrops of countless films. No. 1 Royal Crescent. the first house built on Bath's iconic, 18th century Royal Crescent is now open as a museum. Restored and authentically furnished, it offers a glimpse into fashionable 18th century life. And shop hounds will also enjoy Bath. It's shopping areas are crammed with independent boutiques - fashion, antiques, jewelry and more. Visitors to Nottingham will search in vain for the origins of the Robin Hood stories in Nottingham Castle, once base for wicked usurper King John and his henchman, the Sheriff of legend. It's now a 17th century ducal mansion. But Castle Rock and the cave system beneath it - a scheduled ancient monument, hint at a medieval (and earlier past). North of the city, the remains of Sherwood Forest, 450 acres of Britain's most ancient oak trees, can still be visited. Perhaps it was stories of the legendary Robin of Sherwood that turned Nottingham into the nursery for so many literary lights. Lord Byron's title came from the Nottinghamshire estate he inherited when he was ten years old and he is buried in a Nottinghamshire churchyard. D.H. Lawrence, son of a Nottinghamshire miner, grew up in ther area. And both J.M. Barrie, creator of "Peter Pan" and novelist Graham Greene cut their creative teeth on the Nottingham Daily Journal. Visitors looking for the history of the Pilgrim Fathers, will find much of interest in the Nottingham area, the heart of Pilgrim Country. William Brewster, postmaster of Scrooby in Nottinghamshire, was instrumental in leading a group of Separatists to Holland in 1607. The group eventually fetched up on the shores of Massachusetts, founding the Plymouth Colony in 1620. The Mayflower Trail is a circular tour through the quiet villages of Nottinghamshire, Lincolnshire and Yorkshire that gave rise to the Separatist movement. It's not all about history and literature though. With two universities and 370 schools, Nottingham has the third largest student population in the UK and has the lively nightlight that goes with it. There are at least 300 bars, clubs and restaurants in Nottingham and several large music and dance venues to keep nightowls entertained. I have to confess I found it hard, at first, to understand why Reading made it to the top 20 list of popular UK cities. Though an important town in the Middle Ages, today Reading is largely a commercial center, important in the IT and insurance industries. True, it is within a very short distance of some of England's iconic sites - Windsor Castle, Eton, as well as a raft of stately homes, scattered across Berkshire, Buckinghamshire and Oxfordshire worth visiting. It's not far from the scene of the Henley Regatta and it does have a large university population. But, what probably drives Reading into a top UK destination are two hugely popular festivals. The Reading Comedy Festival, in the autumn, is three-weeks of stand-up attracting British and Irish comedians and their fans along with dozens of brave hopefuls to open mic events. The Reading Festival, is one of the UK's biggest music festivals. It takes place on the August Bank Holiday weekend and has an unusual twist. The festival is paired with the Leeds Festival, that takes place on the same weekend with the same lineup. Artists appear at one of the festivals then rush across the country to the other to appear again. When it comes to staying in Reading, I have to say that vacation hotels there are a non-starter for me. If you are going to one of the many festivals, you are more likely to camp, and if you are looking for real charm, the countryside all around has bags more. But Reading is also an important business center and the business traveler is well served. Aberdeen, 130 miles northeast of Edinburgh on the North Sea coast, is something of a boom town. Before the discovery North Sea oil in the 1970s, Scotland's third largest city was a fishing port - it's still one of Britain's largest fishing harbors with a huge annual haul from its North Sea trawlers - and a university town. Aberdeen University's charter dates from the late 15th century. The oil industry has brought oil tycoon prices. Shops, hotels and restaurants in Aberdeen have prices comparable to London. And for a city of less than 300,000, Aberdeen has remarkably good designer and boutique shopping. The city is almost entirely built of local granite. In good weather, mica in the stone sparkles in the sun. But, to be honest, blue skies in this part of Scotland are pretty rare and in overcast weather, the characteristic greyness can be pretty grim. Still, if industrial powerhouses are what you are after, Aberdeen may be a good stopover on your way to salmon fishing on the Dee. Aberdeen, which has Europe's biggest and busiest heliport, is sometimes known as the energy capital of Europe. The first time I saw Chester, I thought its street after street of beautifully kept half-timbered buildings could not be real. Surely I had stepped into a modern theme park. As it happens, I was partly right. Chester's famous "Rows" are partly Victorian reproductions of earlier buildings. But some of the best are really Medieval. The rows are continuous rows of galleries, reached by steps from street level and forming a second level of shops. No one is quite sure why they were built in this way but some of them, including the Three Arches on Bridge Street, have been galleried shops since the 1200s, having survived the Black Death of the 13th century and the English Civil War of the 17th. Chester, and the four ancient street that make up it's High Cross district - Eastgate, Northgate, Watergate and Bridge - are more than a thousand year's older that its Medieval Rows. The walled city was actually founded as a Roman fort in 79 A.D., during the reign of Emperor Vespasian. It's one of the best preserved walled cities in England with some sections of the ramparts dating back 2000 years to the Roman originals. The city was a major center in the Roman province of Britannia. Recent excavations, the biggest archaeological dig in Britain, have uncovered a Roman amphitheater where fighting techniques were demonstrated. Even if you're not a keen fan of history, Chester, in the heart of affluent Cheshire, is fun to visit. It's full of independent boutiques, has several good museums and art galleries, and is known for top restaurants, luxury hotels and spas.